WHEN Martin Burt's yacht collided with power lines hanging over the Richmond River, he was electrocuted so severely his wedding ring melted onto his finger. 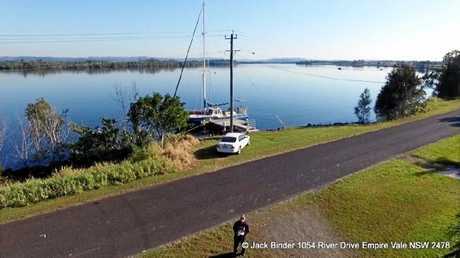 The power lines, which run adjacent to River Drive in Empire Vale, south of Ballina, have been of long-standing concern to residents. For more than a decade Mr Burt's neighbour, Jack Binder, has lobbied to have the power lines moved. "Enough is enough and there needs to be priority action from Essential Energy now." Mr Binder said his friend's near-death experience in December last year was one of many dangerous incidents caused by the 11kv power lines. "I'm a master mariner and I saw the danger when I got into trouble out there in 2007 and reported it immediately to Essential Energy," he said. "I reported it again in 2014 following another incident. "No action has been taken." Mr Binder said the electrocution occurred when Mr Burt was sailing in to dock at his jetty and the outboard motor of his new yacht stalled. He tried to get the outboard started before he drifted onto the rocks, but he didn't see the power lines and his yacht mast "touched" them. "I don't know how he didn't die that night," Mr Binder said. "He's (now) overseas on a holiday to celebrate his recovery ... he was lucky. "Our yachts' masts are much taller than the power lines, so if there is adverse conditions it is very possible for vessels to be blown onto those shores and touch these lines." Powerline danger: The powerlines, which run adjacent to River Drive in Empire Vale have been of long-standing concern to residents, and for more than a decade Mr Burt’s neighbour, Jack Binder, has battled to have the powerlines moved. After more than six months of recovering from severe burns from the incident, including multiple skin grafts, Mr Burt is currently holidaying overseas to celebrate. Soon after Mr Burt's electrocution, Essential Energy promised Mr Binder they would act to resolve the problem. "They had instigated to change the power lines from Martin's house over to the power pole in front of my house," Mr Binder said. "But it's not good enough, because the power lines in front of his house still pose a danger because they cross the water's edge. "There is a power pole on this side of the road near my house, downstream ... they should start from there and run the whole lot through it and get rid of all the poles and wires. 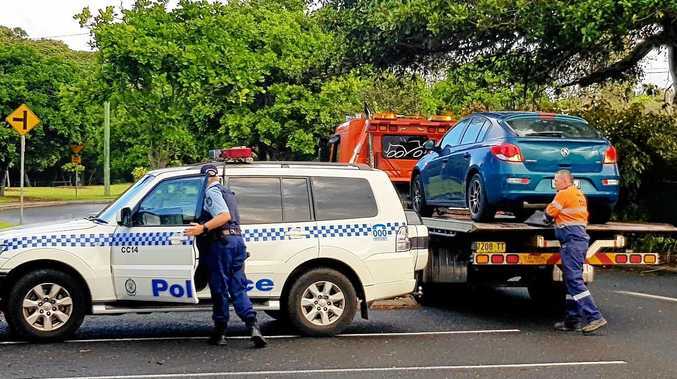 "That will ensure the removal of the seven poles which endanger motorists' lives along this substandard width road, signposted 80km/h, that carries large B-double trucks and enormous cane hauling trucks, as well as primary and secondary school buses." 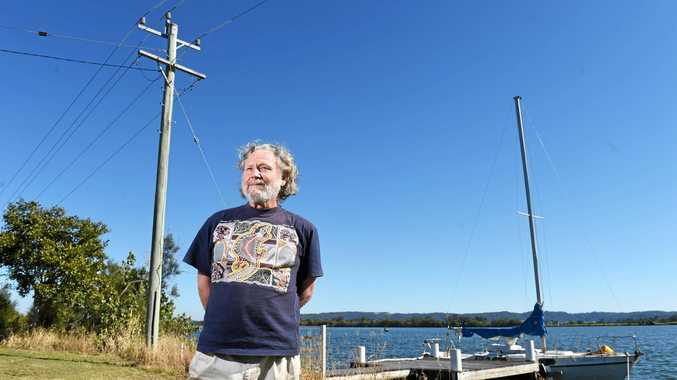 Of similar concern, Mr Binder fears the power pole in front of his house, on the river's edge, will soon fall into the water due to extreme river bank erosion. "Council needs to do something," he said. "I talked to the Mayor a week ago and he promised some action." An Essential Energy spokeswoman said the company's planning team had been considering the matters raised by Mr and Mrs Binder's correspondence. "The section of power line was constructed in 1960 and originally spanned across land parallel to River Drive along the banks of the Richmond River," the spokeswoman said. "Substantial erosion of the river bank in recent times makes this a complex situation and Essential Energy is considering options to relocate the power lines." Ballina Shire Council has been approached for a response.